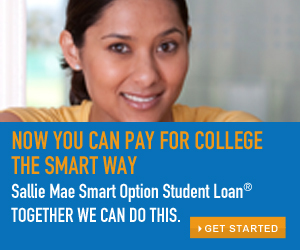 In an attempt to provide the very best service to our members who are looking for student loans, Chivaho has partnered with Sallie Mae, a financial services company which specializes in education. Although we are not directly involved in the application, funding or the servicing of your loan, we expect our partner to provide the same quality service. Please contact the credit union if we can assist you in any way. By clicking on the "GET STARTED" link you have selected a link that will take you to another site. When you click on a link to a third party web site you leave Chivaho Federal Credit Union's web site. The fact that there is a link between our web site and another does not constitute a product or program endorsement by Chivaho. Chivaho has no responsibility for or control over the content of web sites found on external links and is not responsible for the accuracy, privacy, security or propriety of any information located there. We do not represent either the linked web site or the user if the two enter into a transaction.